In 2010, Mr. Skinner was involved in a motor vehicle accident while working, and subsequently developed a physical and mental disability. After exhausting conventional drug options to treat his symptoms, Mr. Skinner’s physician prescribed medical marijuana. The medication provided him with some relief from his chronic pain and improved functionality. Mr. Skinner requested coverage for the medical marijuana under the Canadian Elevator Industry Welfare Trust Plan (“Plan”), a private benefit plan designed to provide health and related benefits to union employees in the elevator industry. The Plan’s Trustees denied the request on the basis that: (i) medical marijuana did not have a drug identification number (“DIN”) because it was not approved by Health Canada, and (ii) Mr. Skinner’s medical expenses ought to be covered by a provincial medicare plan because his disabilities resulted from a compensable workplace accident. Mr. Skinner filed a complaint under the Nova Scotia Human Rights Act alleging discrimination in the provision of services on account of physical and mental disability. In Skinner v. Board of Trustees of the Canadian Elevator Industry Welfare Trust Fund, the Nova Scotia Human Rights Commission Board found the Trustees’ justifications for denying Mr. Skinner’s request for coverage to be “wholly inadequate.” The Plan provided coverage for “reasonable and customary charges incurred for medically necessary drugs and medicines” obtained legally by prescription, and did not require a DIN as a condition of coverage. The Board determined the Trustees’ decision to deny Mr. Skinner’s request for coverage was discriminatory under the Act. The evidence demonstrated that medical marijuana was medically necessary in Mr. Skinner’s case, and the terms of the Plan did not exclude medical marijuana coverage. The Trustees’ denial of Mr. Skinner’s request was inconsistent with the purposes of the Plan, and had the adverse effect of depriving Mr. Skinner of comparable coverage provided to other beneficiaries. Further, the Trustees provided no evidence of undue hardship. The Board noted that the Trustees provided no evidence that granting an employee’s request for coverage of medical marijuana on a case-by-case basis (or any other basis) would cause an increase in premiums or threaten the financial viability of the Plan. 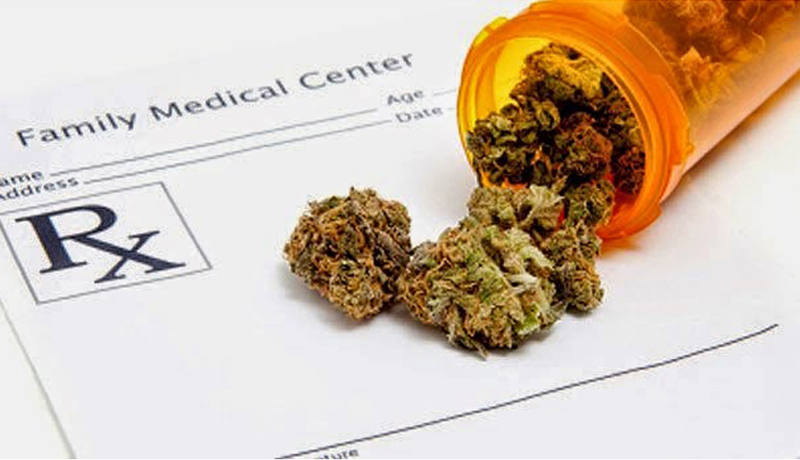 As a result, the Board ordered (as an interim measure) that the Trustees immediately commence providing coverage for medical marijuana to the Complainant. Dealing with domestic violence in the workplace Proposal to legalize marijuana: What does this mean for employers?